Habitat: Cameroon sheep were domesticated in Cameroon in west Central Africa. 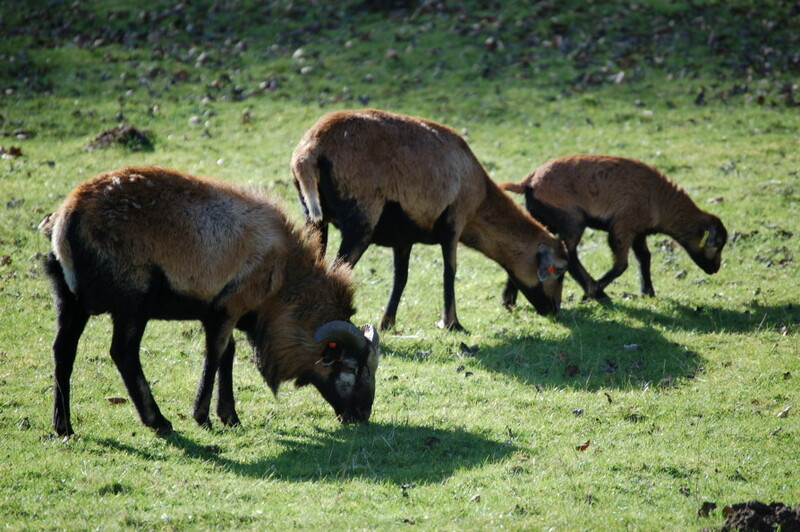 Diet: Cameroon sheep eat grass and their cleft upper lip helps them to graze very close to the ground. This close grazing improves the fertility of the grassland upon which they feed. Behaviour: One or occasionally two lambs are born after a pregnancy of about 5 months in late winter or early spring.